To the Church, from a cynic, on the occasion of her confirmation. I was born into you, raised by the faces of grown ups that smiled at me, collections of casseroles after church and of course obligation. You introduced me to The Lord and to your people, well meaning individuals who dressed neatly and said things like “Jesus came into my heart” and “I have a calling to go to Africa”. I learnt to raise my hands in worship and to try earnestly to remember how bad I was when instructed to think of the cross. I went to many of your incarnations over time, and at some point along the way, I began to wonder what was actually going on. Questioning the things your people said to me on a Sunday led to my feeling misrepresented and disconnected from and by you. Now this is nothing new, but led incrementally to distaste for you altogether. I am sorry, church, but I met too many people who didn’t understand what it was they were enthusiastically espousing and who blithely assumed that their truth was the only truth. Added to this was your not insignificant betrayal of many people I know and love, including some in my own family. I felt your denominations were irrelevant. I wanted to be a part of the kingdom, not a man made institution that often seemed entirely removed from the world it allegedly wanted to help. I kept attending a variety of your faces but always looking for what was wrong and the little that was right, my ear tuned for the mistakes that would be inevitably made and my cynicism about the whole palaver at the ready, should I need it. I began working at Brunswick around 15 months ago now. I had concerns at first, though the job and my subsequent involvement in the regular meetings of your group here came at a time when I was ready to find a solution to my sparring with you. I have to say, your little group here in Brunswick are lovely. They have been so outrageously welcoming and full of encouragement it quite literally shocks me. I often shake my head at my good fortune, and marvel at the lack of all that I despised about you before. So Brunswick has taught me that while a congregation can be different from my experience and challenging in its views, it can also be heartfelt, authentic and gracious. I started thinking about membership a little while ago, mainly as a response to your people here. That was shortly before I fell in love with you. I went to a conference a few weeks back. I was scared of it, to be honest, on account of all the Christians that would be in attendance. We both know that I am not their type of people and they are not mine. On arriving however, I found around 70 young people whose guileless friendship inspired and floored me and around whom I felt I was my most authentic self, cynicism and all. During the week away I learnt a lot about you, and how you are, in your Uniting form, committed to the most basic and beautiful and important and life giving things imaginable. I also realised with a shock, while watching Ken Sumner lead communion, that though I’ve never been someone who is ashamed of her faith, though I’ve not been afraid to talk about it, I have been so concerned about removing myself from all that I dislike about Christianity that I had at some point forgotten nearly all there is to love. I had grown so competent at pointing out all that is wrong with you, that I had smeared my cynicism over all that was right, obscuring the possibilities you’ve been holding politely for years as I railed against your obsolescence. I am sorry to say, I had let myself grow embarrassed of not just you but all connected with you. As I watched Ken tenderly speak of this gorgeous tradition and remembrance, I realized for the first time, that I can actually embrace what I believe, and not become something that I hate. I can celebrate with friends who believe and friends who don’t, because to celebrate my faith is to celebrate something both unique and beautiful and only found here, in me, and something that is a part of the ancient, the holy, the transcendent and the joyful. I don’t need or want to separate them any more. So church, I am writing to apologise I suppose. I wanted to explain that though I have insulted you, and though I thought I had good reason, I want to give us another try, if you’ll have me, for in you I now see the face of my father. I know you’re human, and fallible and sometimes dirty and broken and wrong, but you have the capacity for great beauty, and courage and wisdom and the ability to walk around in the mess of our lives, finding the lovely parts and making them shine and I’ve always been the type to believe the best about things anyway. Lastly, I don’t think that church membership is the only, or the best way of doing life. But I have been placed in a fortunate position inside your monster, and believe that those that can unite to try in a corporate sense to fight for justice and mercy and love, to join the monster in its challenge against the empire, should do so. For me that means no longer pointing the finger at you in accusation, looking at myself as a part of this magnificent story and making sure that the change starts here. 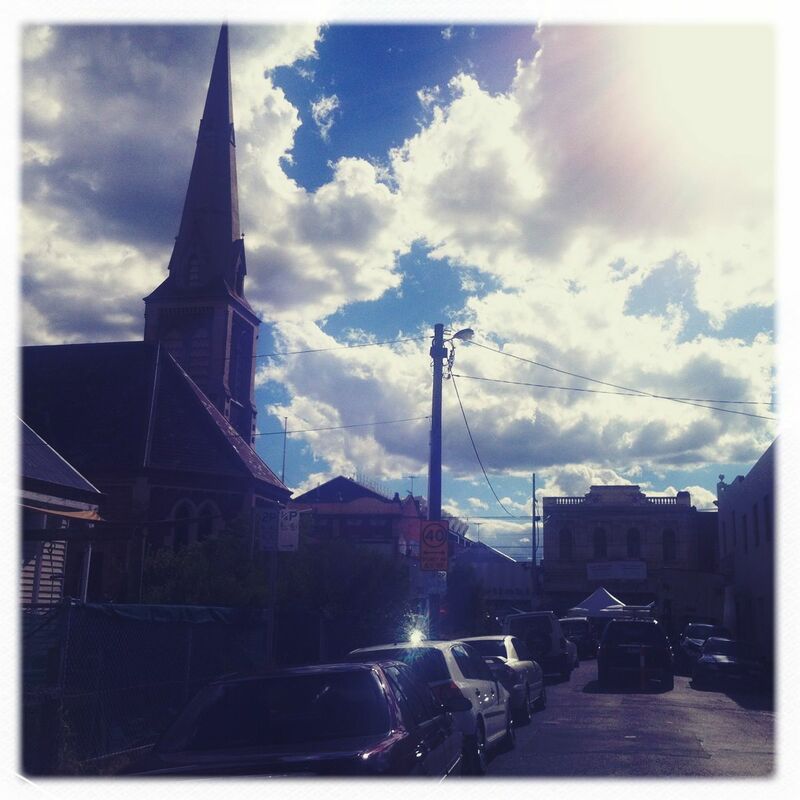 This entry was posted in Nah.. but seriously, What I love and tagged cynicism, faith, love, Uniting Church by mygirlbetty. Bookmark the permalink. Great post, I could have written it myself, although not as eloquently. Becoming cynical seems like a necessary journey for many, I’m now just trying to move “through this” and yet again find the good! Thanks Dan! Just keep your head, dude. You’ll do fine. Gorgeous! I’m glad you’ve found a new way to embrace church, and I hope you can be a part of making it relevant and beautiful again. I came across this post and your blog through a mutual friend. I just wanted to say that this post has inspired me and given me hope. To one day be not so cynical. To one day believe again that the Church is still relevant today. To get through all the hurt it has caused. To believe it can have a positive impact on a person, a community or even a nation. I am so gratified that you read and even more so that you felt encouraged by what I had written. Keep trying, and you’re very very welcome. Yes. Yep. Uh huh. I feel that pain and that joy. “There is the hope and the hoplessness I’ve witnessed for 30 years” Joni Mitchell said as she reflected on the church. Christ incarnate in a collection of us weirdos. You’d think he would be embarrassed to hang with us. But, amazingly, Jesus does hang with us – and for us. Thanks Carlynne for your honesty, pain, forgiveness and love – from this part of the church. Me. This post is beautiful, honest and truly resounded with me. I’m not there yet but your post gave me some hope and was just what I needed to read.